This week we've been enjoying the wonderful beaches of Jamaica (more on this later), and it's been nothing short of amazing. We definitely needed this week to relax and regroup, and I have done my fair share of poolside reading while the kids (and Mr. Cute) were doing their fair share of afternoon napping in the room. I try to mix up my reading on vacations. A little pleasure, a little informative, and maybe a magazine thrown in here and there. One book I wanted to share with you guys just came out on Tuesday, but we were lucky enough to receive an advanced copy. I love reading, and we are always looking at ways to fine tune our parenting skills. In this day and age, things seem a little tougher all around for both parents and children, and preparing our little ones for becoming wonderful, confidant, self-sufficient adults is our most important responsibility. 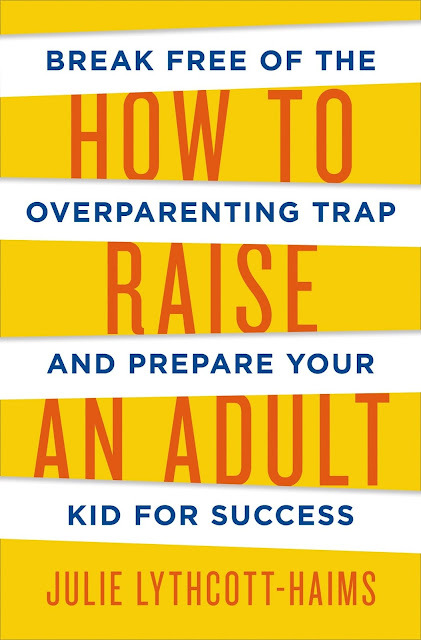 How To Raise An Adult by Julie Lythcott-Haims intrigued me just from its title and description, so I was happy to dig into it. Lythcott-Haims has an interesting view on children and parenting in today's society. In the first part of her book she does a pretty in-depth look at what differences there are in society today versus even a decade ago. I remember growing up and doing so many things quite young that I have a hard time believing most children now could even comprehend, or would be trusted with. I danced for most of my childhood, and as I got more serious about it the classes became lengthier and more time consuming. I spent most week day afternoons, and every Saturday at the dance studio. Being one of three children, all of whom were involved in multiple activities, eventually my parents determined that I would take a bus straight from school to the studio, and would be in charge of all meals while there as well as anything dance related - Minus payment...they totally took care of that. Thanks mom and dad! I did all my own homework at the studio, and was expected to bring home great (not good) grades. Their expectations were high, and while sometimes I might have felt in my young mind I was doing a lot, I realize they were now preparing me. They took a task they knew I could handle, laid out ground rules, and put me in charge of my own future as well as gave me an opportunity to learn what it was like to work hard for something. If I succeeded it was on me, if I failed it was on me. 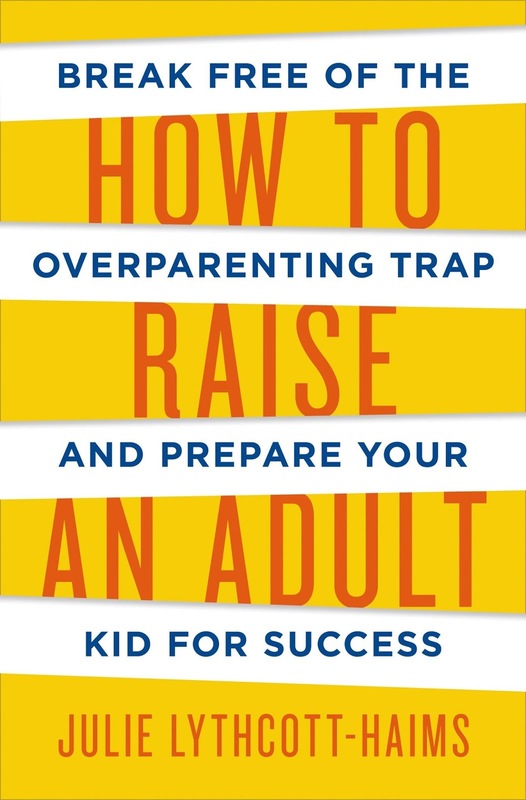 In How To Raise An Adult, Lythcott-Haims writes that parents today often protect, and direct most situations for their children that it is failing, that children often feel lost once they hit college and are expected to immerse themselves in the "real-world". Reading, even though I have young children, I realized that I am at fault for the this even today. I help my children do a lot of things I know that they are capable of because I feel its better or faster. I realize now how that can snowball into something unhealthy as they get older. I remember that old southern saying "raise up a child", and think that this book kind of hits that notion as you read it. I definitely think this is a great read for parents, and it gave me a good perspective on what I might have to face in the future, as well as certain behaviors of mine that I should try to curb in order to help my children. What are some things that you do to prepare your child to get ready for the "real-world" as an adult? Winner will be drawn and announced on Friday, June 19th. To learn more about Julie Lythcott-Haims and How to Raise An Adult visit HERE. My kids are very little, but I'm starting to let him dress himself without help even though it takes a looooong time and it would be so much easier if I just helped. Congrats Erin, please let us know your shipping info by end of day June 21st. Yay!